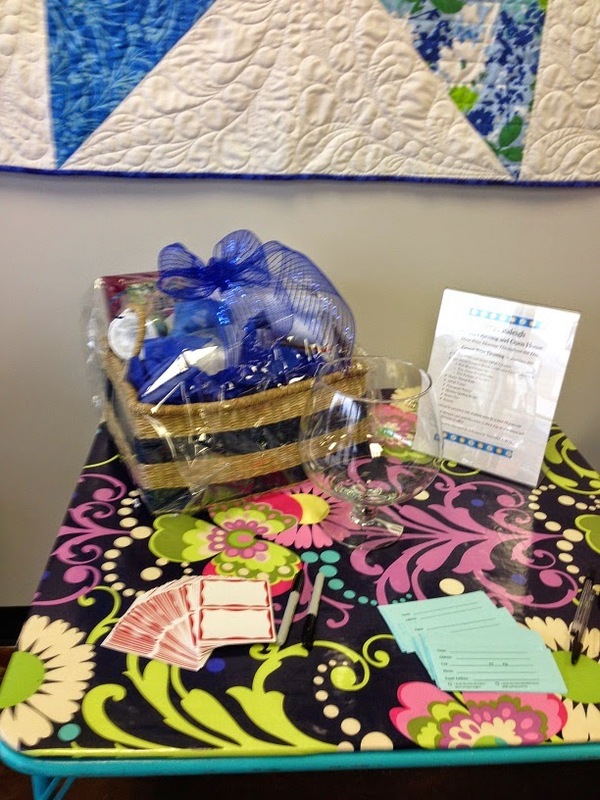 Thread Waggle Quilting: Congratulations to our Grand Prize Basket winner! Congratulations to our Grand Prize Basket winner! Congratulations to Kathy H. of Raleigh! She won the Grand Prize basket at the APQS Raleigh Showroom Grand Opening. Thank you to everyone that came out to make this event special! It has been a great two days!